The toys are taking turns to stand by a height chart to compare their heights. Oscar the Bear stands on boxes and the toys tell him that is not how tall he is. This story supports topics on measuring height. 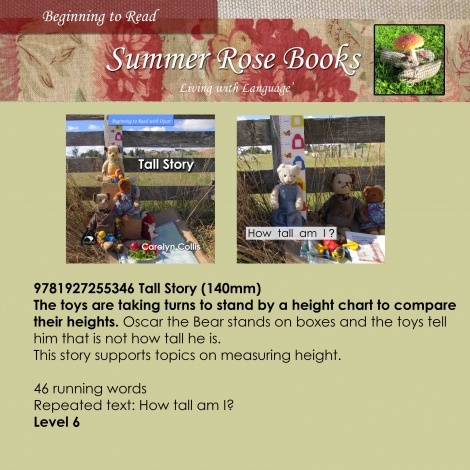 Repeated text: How tall am I?